Over the years, many patients have come to me complaining that they still aren’t getting a restful night’s sleep after being placed on CPAP. We go back and check pressure, medication, body position but the single most important part of the CPAP equation is finding the best CPAP mask type and fit. Why is Finding The Best CPAP Mask Fit so Important? Well, if you can’t tolerate your mask, there is no chance you will acclimate to therapy. Poor fitting masks cause facial marks, discomfort, dry eyes, dry mouth, open sores, excessive leaking and even hair loss. With all the new technology built into CPAP masks, there is no reason you shouldn’t have a comfortable mask that fills your needs. Masks can come in many different varieties. Traditional types are nasal pillows, nasal masks and full face masks. Non-traditional masks exist for those that need an outside the box fit as well. Some pretty cool and comfortable non-traditional masks that can help are the Tap-Pap, a nasal pillow interface with no headgear; it’s held in place with the patient’s mouth. The SleepWeaver mask line is cloth based and even works for pediatric patients and the Fit Life mask by Philips Respironics, is a total face mask. Which CPAP Mask is an Appropriate Fit for You? I generally start by asking if a patient knows their pressure or is claustrophobic. For pressures higher than 11, I DO NOT recommend a nasal pillow. They are great masks but at higher pressures, they can be drying and irritating to nasal and sinus cavities. So, say you are claustrophobic AND have a high pressure? I fit patients with a full face mask, seems like backwards thinking but let’s look deeper: Higher pressure has challenges of its own that can be intolerable with a full face mask such as the 3B Numa. 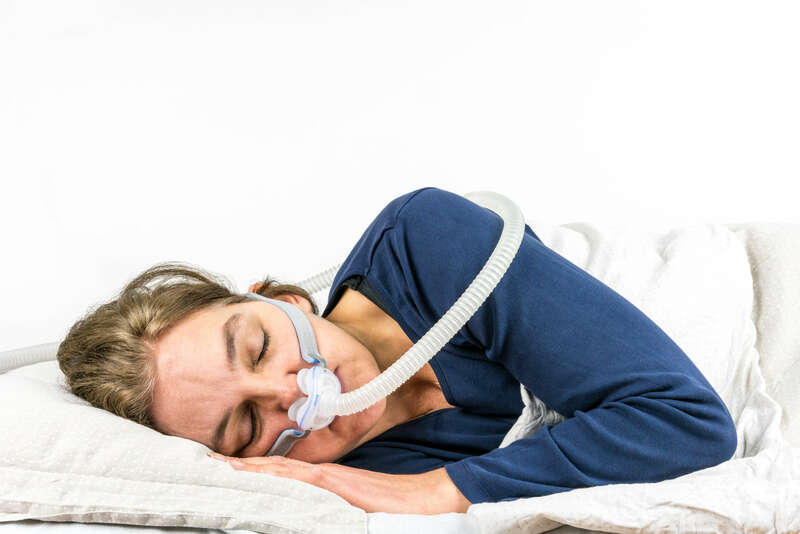 The Numa can offer a slight diffusion of air pressure and give the added benefit of allowing a patient the freedom to open their mouth, which for some relieves the feeling of claustrophobia. This is also very helpful for patients who are mouth breathers or who experience nasal congestion, allergies or dry mouth. Side sleeper? Move a lot? Tolerate your air pressure well and don’t wake up with an overly dry mouth? The best CPAP mask for side sleepers is probably a simple nasal mask. These tend to be well tolerated, are very lightweight and are easy to use. The 3B Viva is a great option with the added benefit of a silicone gasket built in to ensure your mask moves with you and keeps a great seal. Want to read in bed or watch TV? There are some GREAT options for a forehead-less mask which allow you unrestricted vision and the ability to wear glasses if needed. Two 3B masks fit the bill here. The Rio II, an ultra-lightweight nasal pillow interface, and the 3B Elara, a mask that is both full-face and soft and comfortable with no forehead stabilizer. Finding a mask that suits your needs can be challenging, but it is definitely possible with all the masks on the market. All these parameters affect not only you but also your bed partner. Mask cleaning is also a concern. Getting into all the nooks and crannies with a soap and water will likely clean all visible debris. However, you might consider a rather handy unit for disinfection like the 3B Lumin. The Lumin will disinfect your mask to over 99% on surface areas. The 3B Lumin will also disinfect most household goods. It’s a true multi-purpose item, throw in your toothbrushes, baby pacifiers and cell phones. Keeping your CPAP and home accessories germ-free has never been easier. For more information please check out our Lumin site. The best CPAP mask is so worth the hunt, it can be life-changing and life-saving. Keep fighting for that perfect night’s rest; stay healthy, faithful readers. Remember YOU are your biggest advocate.